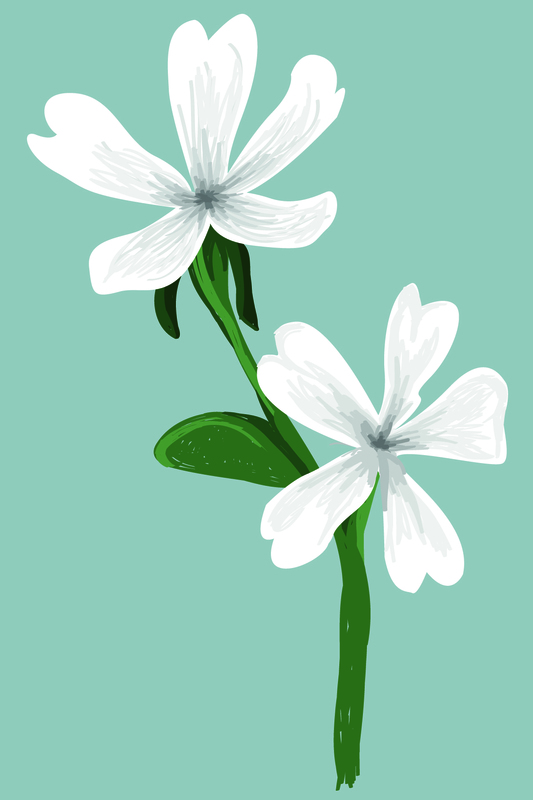 In what sounds like a Jurassic Park style science fiction narrative, the Proceedings of the U.S. National Academy of Science recently reported that an ancient arctic flowering plant by the name of Silene stenophylla, commonly known as the “narrow-leafed campion,” was brought back to life after over 31,000 years of dormancy — as determined through radiocarbon dating. Russian scientists announced they successfully regenerated this flowering plant from frozen seeds, fruit, and leaves most likely collected by a prehistoric squirrel in its burrow. The burrow is believed to have frozen over quickly prior to the last ice age, preserving DNA intact until its discovery and excavation a few years ago. The material was extracted from beneath 38 metres of permafrost in the northeastern Siberian tundra in 2007. Stanislav Gubin, a coauthor, has described burrows in the area as a “natural cryobank.” Scientists were able to grow the plant in a conventional flowerpot. Over the course of a year the plant blossomed, fruit was successfully borne, complete with functional seeds. Svetlana Yashina and a team from the Institute of Physiochemical and Biological Problems in Soil Science, Russian Academy of Sciences, wrote: “The first generation cultivated from seeds obtained from regenerated plants progressed through all developmental stages and had the same morphological features as parent plants.” In other words, the plant cycle continued as would have been expected if it had not been interrupted for over 31,000 years. The seeds themselves did not germinate, as the embryos had been damaged. Scientists turned to the frozen fruit placental tissue itself, and were able to culture 36 specimens from the tissue. Remarkably, the plants appeared similar to modern day versions of the plant, until flowering, at which time the petals were noted to be significantly longer and more splayed. If independently verified, this will prove to be by far the oldest plant material ever brought back to life, the record currently is 2,000 years, held by date palms grown from seeds found in Masada, Israel. Although living material this old is not that surprising, the recovery of viable life from preserved frozen matter is. Many cases of proposed extreme longevity have been disproven in the past, including supposed wheat grown from tombs of pharaohs, and lupines grown from a 10,000 year old lemming burrow in Canada, which were later proven to be modern contaminants by Grant Zazula, a paleontologist from the Yukon Paleontology Program. Robin Probert, head of conservation and technology at the U.K.’s Millenium Seedbank, hopes that techniques developed in this project may one day be used to resurrect extinct species. Not everyone is so optimistic about the results. Alastair Murdoch, an expert on seed viability from the University of Reading in England, noted that 98 per cent of poppy seeds are rendered infertile after a mere 160 years of -7 C, the temperature estimated for the campions. Although revolutionary, this discovery might become the first of many. An estimated 20 per cent of Earth’s land surface area is covered in permafrost, which opens the possibility of a vast collection of preserved life specimens waiting to be discovered, potentially detailing the history of life on Earth. Though this may sound far-fetched, the idea of freezing plant species indefinitely is not a new concept. In fact, this concept of preserving seeds through freezing has been exploited by the Millenium Seed Bank Project in West Sussex since 2000, and the Svalbard Global Seed Vault, a high security, ultra-low temperature collection of over two million plant seeds representing all human food staple species, was founded in Norway in 2008, in case of some sort of global calamity (as a safe house guarding against mass extinction of these species). Gubin hopes that they can find more preserved tissue from the pleistocene epoch’s layer in the ice, perhaps opening the possibility of bringing back extinct animals from the most recent ice age — animals such as the woolly mammoth.